SECOND STROKE FOR MOZZANICA: SANDY IANNELLA! The Mozzanica market explodes the second cannon shot in a few days. After Daniela Stracchi, another ex Torres arrives at the court of Nazzarena Grilli: Sandy Iannella, Leghorn class' 87, offensive midfielder and ruthless realizzatrice. "Even if I'm still hungry, my appetite is never lacking, in fact I'm still struggling to lose the championship and the Italian cup by the end of the season I accepted the offer of Mozzanica just because I was presented with a ambitious and winning project that convinced me. Read more: SECOND STROKE FOR MOZZANICA: SANDY IANNELLA! FIRST MARKET SHOT: DANIELA STRACCHI AL MOZZANICA! The purchase campaign of the Bergamo company starts with the barrels. 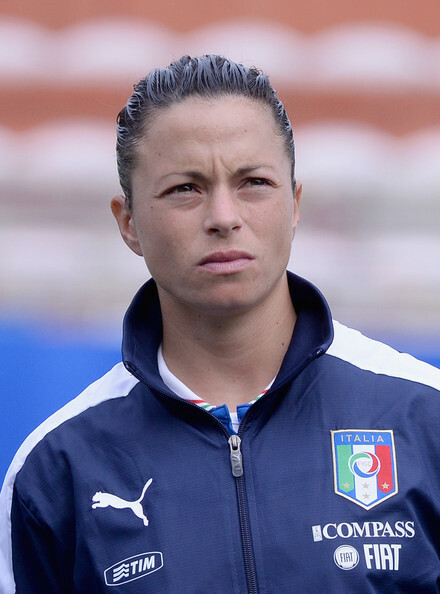 From Torres, he gets to reinforce the midfield of Mozzanica Daniela Stracchi, without a doubt one of the best interpreters of the championship in the role of central median. "I'm very happy to have arrived here. The Mozzanica is a team that I've always liked very much, that has done a great job in recent years, thanks to which it has grown so much in all respects. I did not know the company before, but I must say that I immediately had a wonderful impression. What I know very well are Nazzarena Grilli and Viviana Schiavi, with whom I won my first Scudetto in the 2005-'06 with the Fiammamonza. Read more: FIRST MARKET SHOT: DANIELA STRACCHI AL MOZZANICA! AN ACCEPTED APPEAL OF CHIASIELLIS PLAYERS !! 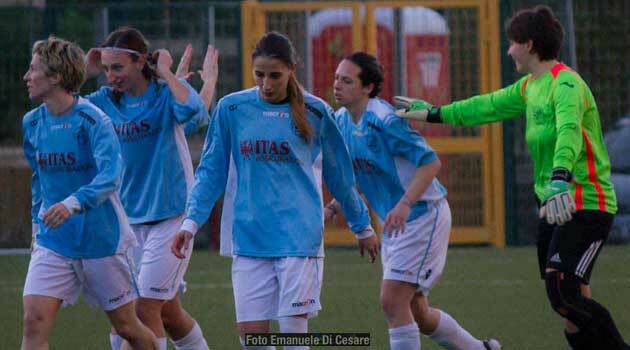 After the interview with Calciodonne .it by the President GRIZZO we have collected the appeal of the many girls of Chiasiellis who ask to "continue to carry around the region and the name of the colors CHIASIELLIS". The entire editorial staff of Calciodonne .it joins this appeal in the hope that as soon as possible a solution can be found that will allow them to continue practicing this sport in a society that has always shown in these years to honor not only the commitments undertaken, but above all expressed SUL CAMPO, thanks to the players: commitment and passion towards social colors! 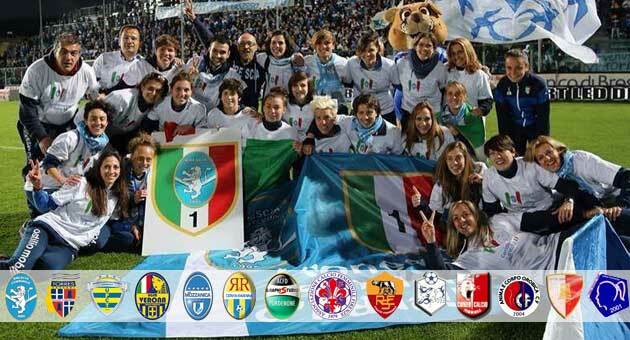 "Now that the news has spread we players of Chiasiellis Calcio Femminile want to make public our point of view. 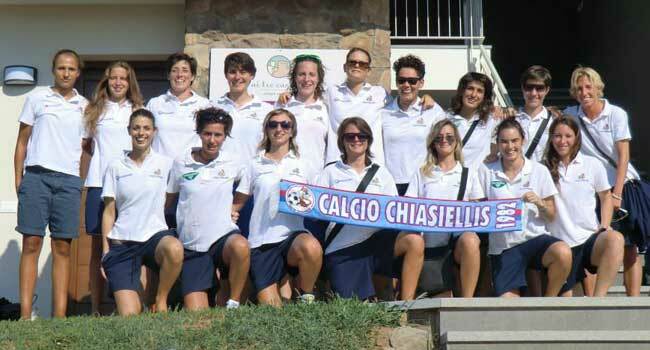 To sum up: Several of us have been playing for years with the Chiasiellis Calcio Femminile, sharing the spirit and values ​​that the company has transmitted to us. Read more: AN ACCEPTED APPEAL OF CHIASIELLIS PLAYERS !! FOOTBALL CHIASIELLIS GOODBYE ... "PASSION IS NOT EVERYTHING ..."
"After many years of great passion, wonderful years, lived with people to whom I am bound by intense friendships, I have taken the most bitter decision that can be taken in sport: that of closing the Society" These words were pronounced by the President del Chiasiellis, Grizzo, during an interview he gave me yesterday, in which he also expressed the reasons for this choice suffered on a personal level, however, a meditated choice, after many months in which he tried to find valid solutions to allow to the Company to continue its activity. "This company has always been" open "to everyone, it has grown over time, through an amateur management composed of real enthusiasts who have worked together to achieve ever wider goals. After so many years we have reached the goal of the series A, which has filled us with personal pride and that has also gratified this territory and this small town in Friuli. " 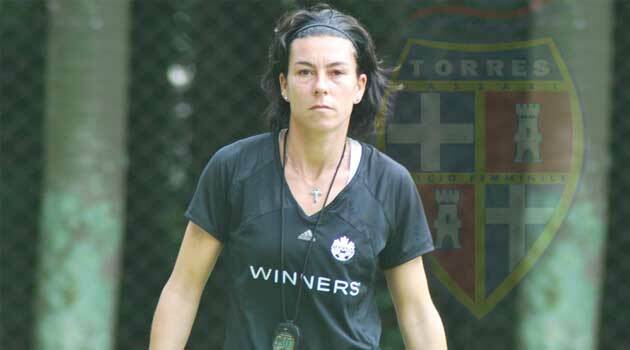 Read more: FOOTBALL CHIASIELLIS GOODBYE ... "PASSION IS NOT EVERYTHING ..."
What will become of the female Torres? This is a question that many insiders are putting in this period following the rumors that have been running for many months on the vicissitudes of this important company, absolute leading player of the last national football seasons. The demonstration of protest against the management, put in place a few months ago by the red-blue players, has raised a problem for a long time passed in silence and that it should have been faced with the due decision much earlier! The removal of Manuela Tesse is the last act of a rather questionable management situation, with President Marras who, through the website of the Sardinian Society, has officially resigned from the Club, resignation, they tell me, never officially formalized, similar even to those dates as Coordinator of the council of the Department, of which there is no trace ....! Read more: TORRES female: what future? THANK YOU OF ALL MISTER SQUARE! With the unfortunate semifinal Saturday 31 May closes the experience of Mister Paolo Fracassetti mozzanichese. 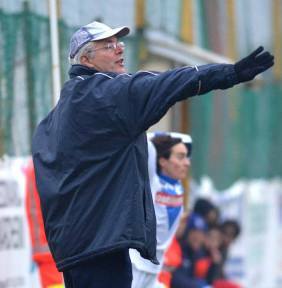 Three years in which, at the helm of Biancocelesti, the Bergamo coach has conquered two fifth places and a Coppa Italia semi-final. "I am obviously sorry that I can not continue this experience. In these three years, very positive for me, I have worked with extraordinary girls who have seen me grow so much from all points of view. This year we laid the foundations to build a great team for the future, we played on par with the leaders of the class, eliminating the Italian champions Brescia and Verona from the cup and going very close to reach a final, which would have been a historical result for this company. It remains the regret of not being able to win points against the first four in the league, despite the excellent evidence on our part. 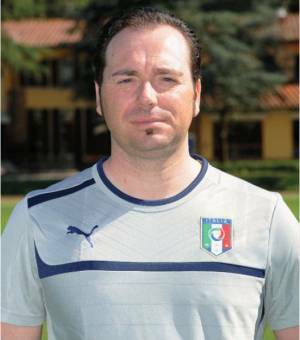 I see for this team a rosy future, the bases have been put, if the progress made by the girls in these three years will continue, I am sure that the Scudetto or the Coppa Italia will arrive very soon. I want to thank the girls and the company for these three beautiful years, full of satisfaction that have enriched me a lot, both from a professional and human point of view and I wish this team to reach great goals soon. As for me I do not know what I will do, if I will be asked to stay in the feminine I will definitely evaluate it, this is an environment that has a lot to grow, but in which I found myself very well"The company in the person of its president Luigi Sarsilli expresses his thanks to Mr. Fracassetti: "We are grateful for what has been done in these years, with him the experience has been positive and we can say that he met a very good person and a true professional, to him our sincere wishes to collect all the satisfactions again. professional possibilities, wherever football will take him. " AMARO PLAY-OUT FOR VALPOLICELLA, THE COMO REMAINS IN A.
Montidon - It is the Como of Mister Manzo to gain salvation in the decisive challenge of S. Ambrogio. The Valpolicella is defeated after a good race, where the lariana have however demonstrated greater precision and cynicism in the door. A round of applause for both teams, the landlords returning to the cadet series after a fair season, spotted by a decisive series of defeats in the central part of the tournament that has undermined the ranking and the Como that take off the pass for the To, for the third consecutive time. Read more: AMARO PLAY-OUT FOR VALPOLICELLA, COMO RETURNS IN A. There is no joy without pain: Como beats 2 at 0 Valpolicella in the play-off play-off and wins, with merit, the permanence in Serie A, thanks to the double achieved in the second half by Mazzola who condemns the beautiful Valpolicella to retrocession that failed to materialize the beautiful game expressed. Congratulations to the team of Mr. Manzo and President Aquilini for never giving up and with a final in crescendo managed to prevail over the opponents of the play out zone and rejoice for the goal reached. Fimauto Valpolicella which is added, with regret, to the retrocede Scalese, Grifo Perugia, Naples, Inter and Chiasiellis. So ends the championship series A 2013-2014 with the beautiful victory of Brescia record Italian Champion and Torres, defeated in the big match championship that won the place of honor and participation in the Champions along with swallows tricolor. The regular championship was concluded for Fimauto with a good tenth place that in times not suspicious for a serial number of the maximum series meant safe salvation. The tenth place of these times means play out! At the gate there is the expert team of Como, who this season has made the rossoblu suffer a lot, inflicting two losses on them. Everything's ready. 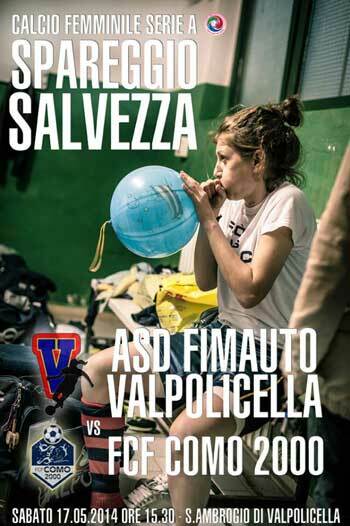 Tomorrow the Valpolicellesi will take the field to earn their salvation, to bring home the victory and put the icing on the cake for a season, however, is positive. Of the same opinion Mr. Formisano: "In my opinion we played a good championship, we have received compliments from many insiders, we have grown from all points of view and tomorrow we will do our best to stay in Serie A. We have maintained throughout the course of the championship a very respectable ranking and together with Rome and Florence we gave birth to a good battle.We are now at the epilogue and I can only encourage the girls to gamble as best they know and with so much courage !! Valza Force! " 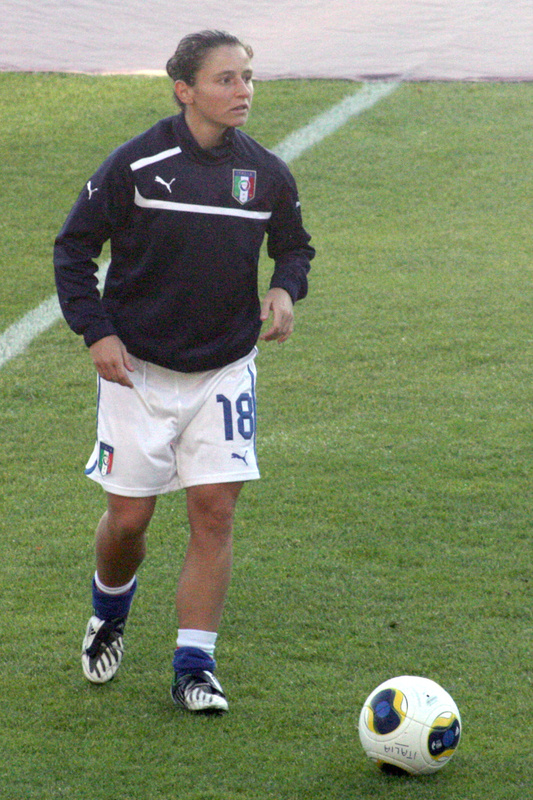 The players although with some ailments at the end of the season are all available, except for Peretto who injured his knee against Chiasiellis last Sunday. Toniolo also returned, who participated in a stage of the national under 19 during the week. Kick-off at 15.30. Montindon sports field, via Volta, Sant'Ambrogio di Valpolicella (Vr). Free entry.